I’ve been in Torino for almost a month now, and my Italian has improved enough that I decided to tackle the holy grail of transportation behavior: the travel demand survey. Every two years the metropolitan transportation agency here does a survey of its residents to understand how they are using the roads, trains, bike lanes and buses that make up the regional transport network. With the help of Google translator and some patient colleagues, I sifted my way through the data for the last ten years, and some future projections, to get a sense of how Torino’s regional plan is affecting actual travel behavior. Are Torinese driving less and taking transit more? Are they riding their bikes more often? Why, you ask, am I doing this tortuous exercise instead of drinking vino? Well, a key aspect of our new law in California, SB 375, is the establishment of GHG targets for each metropolitan region in the state. These targets directly correlate to travel behavior: the less you drive, the fewer GHGs you create. California’s first GHG targets were adopted in September 2010 after a long and contentious process. The highest targets belong to the Sacramento region, which is committed to reducing car-related GHG emissions 7% by 2020, and 16% by 2035. Italy doesn’t have SB 375, but Torino does have an ambitious regional plan to improve public transport, regenerate urban areas, and diversify the regional economy. If I can understand how that plan is affecting actual travel behavior, that can help me understand what’s possible in California. 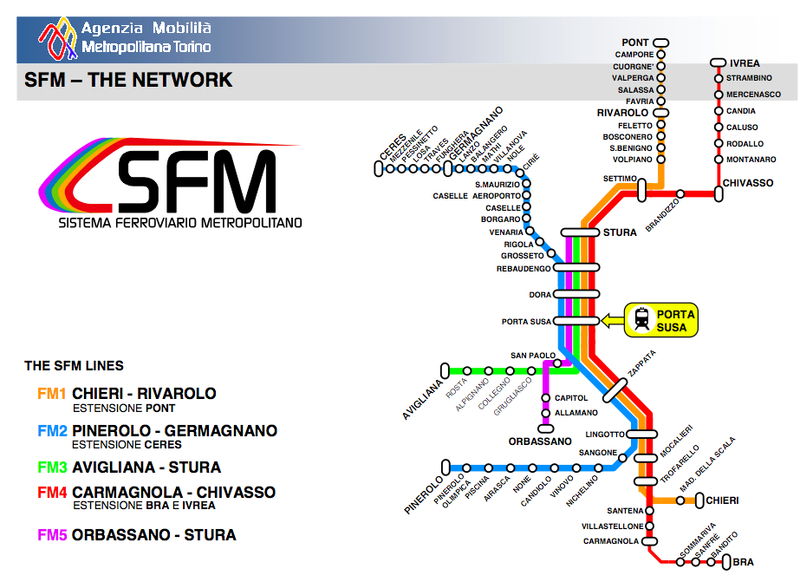 THE major transport project of Torino’s plan is the Metropolitan Railway System, or SFM, a massive project to integrate, expand and upgrade the regional rail network that connects Torino with the suburban communities that surround it. The element of this project that that excites me the most is the “Central Spine” concept. 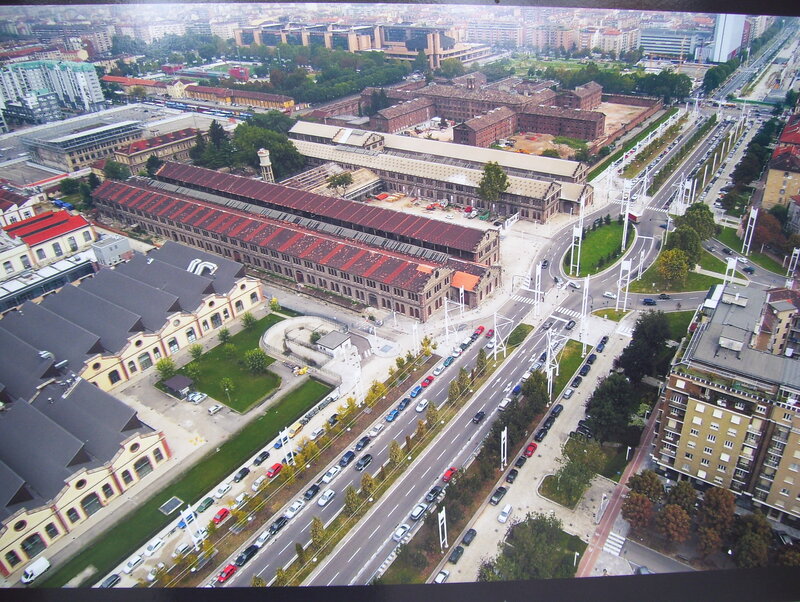 The new rail system will be anchored by an axis of four stations that run north-south through the center of Torino. This axis, known as the “Spina Centrale” or “Central Backbone” is a former industrial rail corridor that bisects the city, flanked by old industrial brownfields. 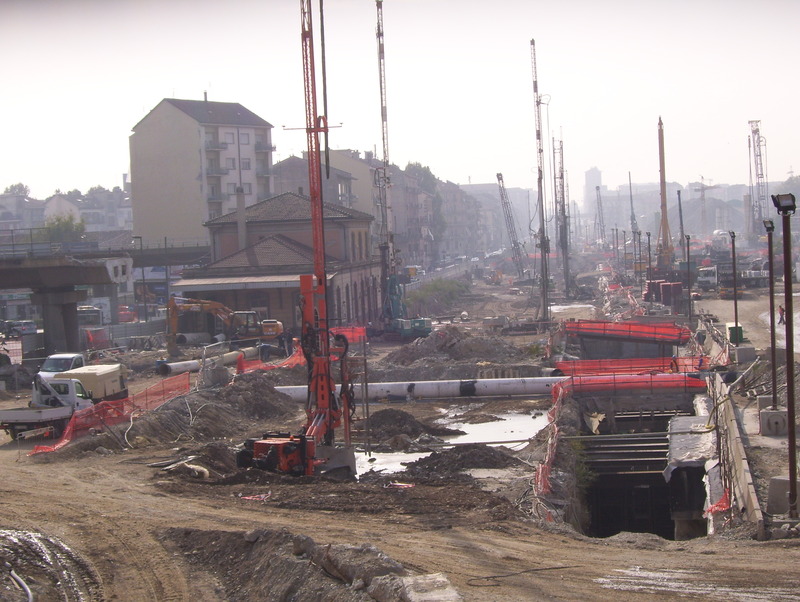 For most of Torino’s industrial period, this railway was like a giant scar running through the city, dividing the city center from the neighborhoods across the tracks. Now, a stretch of eight miles through the heart of the city is being put underground and a new, multimodal boulevard is taking shape at ground level. This a massive public works project that will not only improve transit for the entire region, but will also have real benefits for the neighborhoods adjacent to the project. The old industrial factories and contaminated brownfields along the railway are being cleaned up and converted to new housing, university centers and commercial uses. Each of the 4 major train stations along the “Central Spine” is being upgraded, including the big new central station at Porta Susa that I visited my first week in Torino. Each is becoming a multi/modal hub of transit-oriented development. Its hard to imagine the scale of this project. Looking south along the Central Backbone from Dora Station. A view of the Central Spine where the transformation is complete. The railway is under the boulevard in the center. On the left, old industrial buildings have been converted to University facilities, including the Institute where I'm sitting right now. It's in one of the low buildings with the grey roofs. Another aspect of the regional plan is the creation of a subway, known as the Metro, that links the rail stations to various neighborhoods and job centers in central Torino. The first leg of the subway has been open since 2006 and further expansions are underway. The Metro is the first major new transportation project to open since the adoption of the strategic plan. Inside the shiny new Metro station. There are also some great bicycle and pedestrian projects which deserve more detail than I can provide here, so I’ll save those for a subsequent post. But they are also having an impact on reducing the amount of driving in Torino. So to get back to our original question: how much has Torino reduced VMT so far through all these projects, and how much do they expect to reduce it in the future? The most dramatic change in actual behavior happened after 2006, when the new subway opened. Between 2006 and 2008, the total number of overall trips decreased by 16%, but this change largely reflects the economic downturn. The more relevant statistic is the number of trips taken on public transport, which increased by 3.6% during this time period, from 22.8% to 26.4% of total trips. This probably doesn’t sound like much, but in the world of transport this is a significant shift. The data on biking and walking isn’t as clean, but a similar trend exists there. New 2010 data is expected in the next few weeks, and from what I hear, the trend is continuing, even accelerating. The much bigger change in travel behavior is expected when the new regional rail system becomes fully operational. The regional transportation agency (Agenzia Mobilita Metropolitana Torino), predicts that by 2020, the number of transit trips will increase by a whopping 73% and the number of car trips will decline by 36% compared to a business-as-usual scenario. These are very big numbers and there is good reason to suspect that they are probably too high. The regional agency is currently developing a new travel model (sound familiar?) and the officials I spoke with were quick to acknowledge that there are some problems with the current one. However, they were just as quick to point to other cities in Europe that have seen these kind of dramatic transformations after opening a massive new rail system. 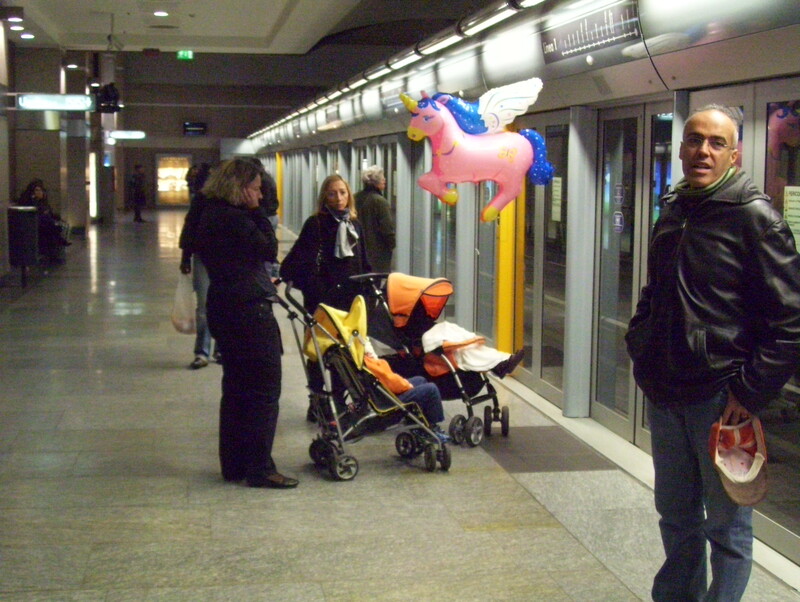 In Zurich, for example, transit ridership increased 82% in 12 years after the opening of a new rail system. The question remains – is it possible to create massive change on the scale necessary to address the global warming crisis? I think part of the reason I’m so enchanted by the Central Backbone project is the sheer nerve of it. Imagine taking such an ambitious idea from fantasy to reality! 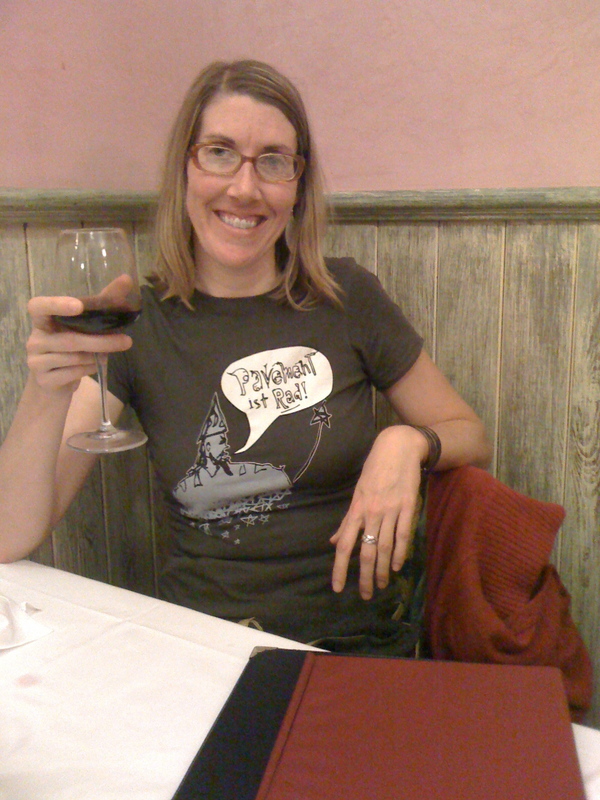 The Torinese I’ve talked to believe deeply in this new vision for their region and they are excited to leave behind the dirty industrial cloud that has marred their otherwise rich history. Italy’s reputation for corrupt politics is deserved, but there is much to admire in what this city and region have accomplished through collaboration and shared vision. I am so impressed by the passion and tenacity of the people I’ve met in Torino, and I think this transformation is a reflection of their spirit. California has our own rich history of collective action to meet big challenges and when it comes to transforming our regions, I hope we can be as nervy and passionate as Torino. This entry was posted in Torino. Bookmark the permalink. Wonderful to know such ambitious projects are going on. I think about BART, in the SF Bay Area. How does it compare in scope, and in effects (e.g., ridership, that sort of thing?). Hope the second metro line gets underway before 2020. Home is where the crazy is.